Home News Knox Singles Out New Aussie Coach For Praise As Scot Makes It 10 Cuts From 10 New Season Events. Knox Singles Out New Aussie Coach For Praise As Scot Makes It 10 Cuts From 10 New Season Events. 1 month ago by Bernie McGuire Comments Off on Knox Singles Out New Aussie Coach For Praise As Scot Makes It 10 Cuts From 10 New Season Events. 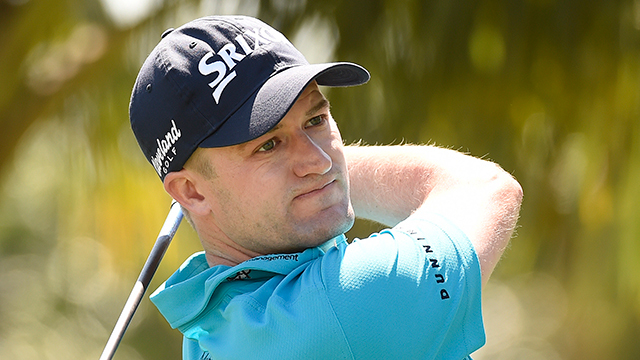 Russell Knox has singled out new Aussie new coach, Bradley Hughes for praise after the Scot made it 10 cuts from as many events following last week’s ultra-lucrative Players Championship in Florida. Knox has been golf’s ‘Mr. Consistency’ not having missed a halfway cut since last October’s Tour event in Shanghai. Just once before in a now 175-event PGA Tour career has Knox produced a better run of consistency and that was 12 weekend cuts in succession from finishing T2nd at the 2016 RBC Heritage to T23rd at the Tour Championship in Atlanta. And in the eighth event of that run Knox captured a second PGA Tour success with victory at the Travelers Championship in Connecticut. 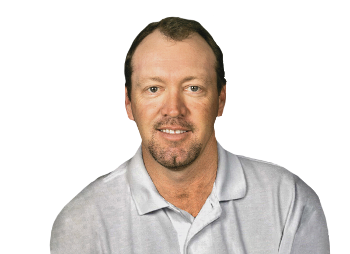 Knox began working with the 51-year old Melbourne-born Hughes earlier this year and with ‘Hugo’, as his more affectionately known, having competed on the European, PGA, Australasian and Japan Tour’s. Hughes capped his career with a pair of Australian Masters titles in 1993 and 1998. Knox had been coached in recent years by Ramon Bescana and this after the tragedy when the Scot’s long-time Jacksonville University coach, Mike Fleming passed away on Easter Sunday 2014 and just a week before Knox was due to make his Players Championship debut. Knox and Bescana parted on good terms last November after Knox finished T34th at the DP World Tour Championship in Dubai. And it was after watching coaching video clips of another Aussie in Steve Elkington, who defeated Colin Montgomerie to capture the 1995 PGA Championship, that Knox met Hughes. He said: “The work I am doing with Bradley is really beginning to show real benefit. “I had liked some of the things Steve Elkington was saying and that led me arranging for Bradley to come to Jacksonville and spend some time with me. “It has only been a short time since Bradly and I have begun working together and he’s already brought a direction to my game and such aspects that knowing where a miss is coming from. Knox teed-up at TPC Sawgrass ranked 64th in the world and still looking to earn an invitation into the Masters by the close of this month. He said: “At this stage, I am just a handful of places outside the top-50 on the World Rankings so the big gaol this early in 2019 is get myself into the Masters. “The thing is, every tournament is a major to me. Any one is life-changing to win. “This would be amazing, obviously, being hometown, but obviously we’ve got a million miles to go yet. “I mean, I’m just — like my caddie Dave tells me, he’s like, we’re just rolling the snowball, and one day it’s going to be a snowman. That’s the way I’m kind of approaching my game right now. And what better road than the famed Magnolia Lane.